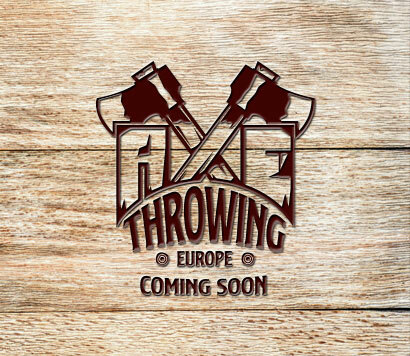 Axe Throwing Europe™, a project run by the Proactivita Institute, was founded by two trendsetting Slovenian companies, Escape Room Enigmarium and Walnut Grove Group, both leaders in a real-life games, gamification and teambuilding in the Alpe-Adria region. We offer a an attractive opportunity for a franchise/partnership collaboration. You might wonder why you might go with a franchise business and not start your own business. A franchise offers complete know-how: from how to choose the correct space, how to build the throwing ranges, up to hints about insurance and the important part: how to entertain the visitors at the facility to attract returning costumers most importantly – how to promote the business and do the marketing and PR. Since it is not enough just to open the facility – the key is to turn it into the most popular fun thing to do in your region! Our franchise package will provide you with all the rules and requirements. You don’t have to worry whether your centre will comply with regulations or not because we will take care of it. Our goal is also to create a network of centres that will be recognisable, good and provide the best axe throwing experience. It is good to implement your ideas and goals, but why start something on your own (and risk failing) when you can join an already verified system? With us, you just follow the provided operating manual and you are ready to go! Why invest into building a new wheel and spending hours and hours of thinking and strategizing, when you can use an existing business model? Not only do you get complete know-how, but you will also receive all the secrets behind the business. We have also had to deal with various obstacles and therefore we will be able to give you good advice and guide you on the right path. Once you have built your centre, you’ll already have done a lot, but if you do not attract a wider crowd, you have not done anything! It is not enough just to open the facility, you have to turn it into the most popular thing in your city and the surrounding area. We know how to promote your business and together, we are stronger! It is proven that franchises have a higher rate of success in comparison to a new business. To simplify – together we are better and stronger.